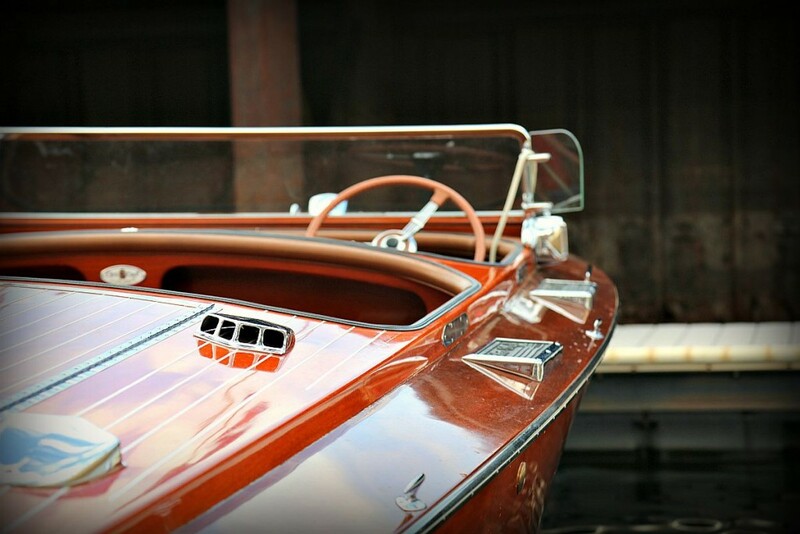 The roar of a classic engine, the reflection of sunlight off of shiny brass fittings, and the sparkle of lake water splashing against a meticulously cared for mahogany hull. 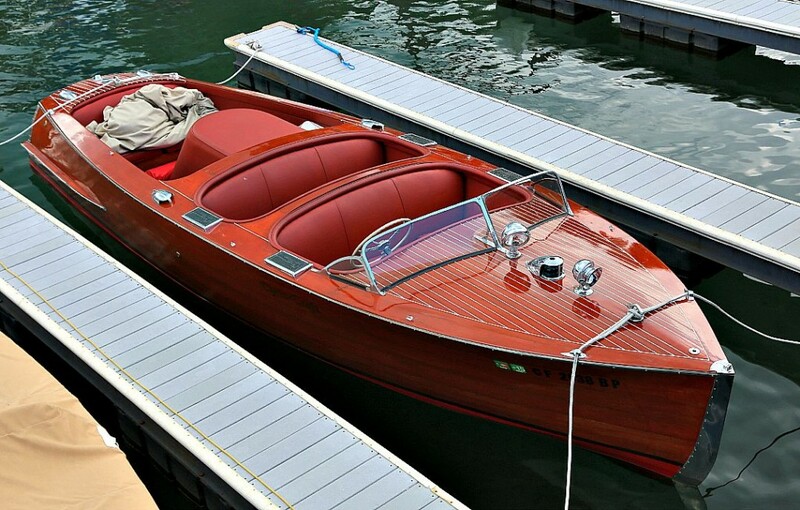 These characteristics make vintage wooden boats, built in the 1920’s to the 1960’s, an amazing sight to see. At the same time these features also make them some of the rarest classic items on the planet. Just think about what these boats are made of. Wood is organic meaning that it expands/contracts with the weather. The boat manufacturers from this era built wooden hulls to last approximately six to eight boating seasons not fifty or sixty. The brass that these boats use for their ornaments and fittings is also one of the softest metals. There is always a good chance it can bend or break. 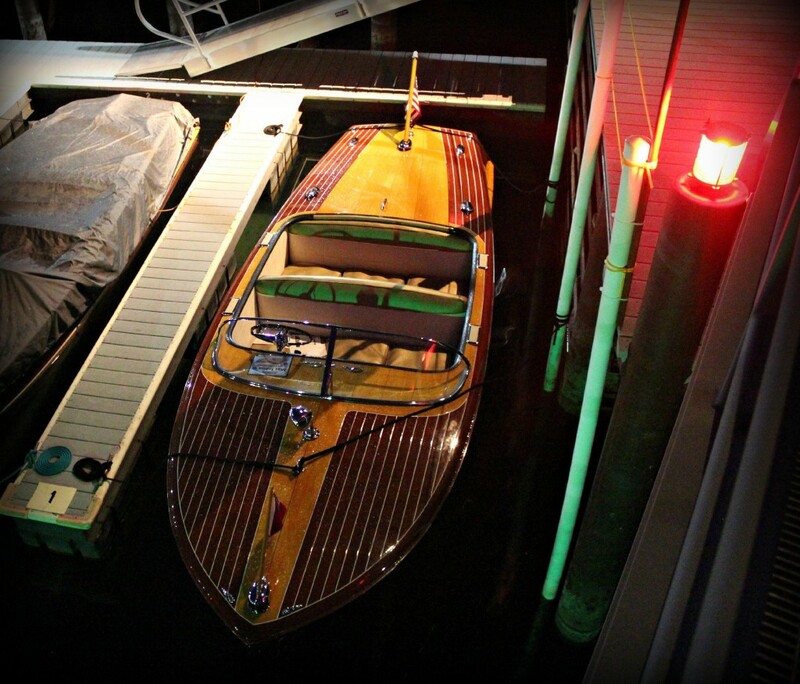 When you get an opportunity to see a mint condition wooden powerboat in real life, check it out. Remember those facts. Started in 1874 this company based in the Detroit area originally made power boats for the likes of Henry Ford and William Randolph Hearst. 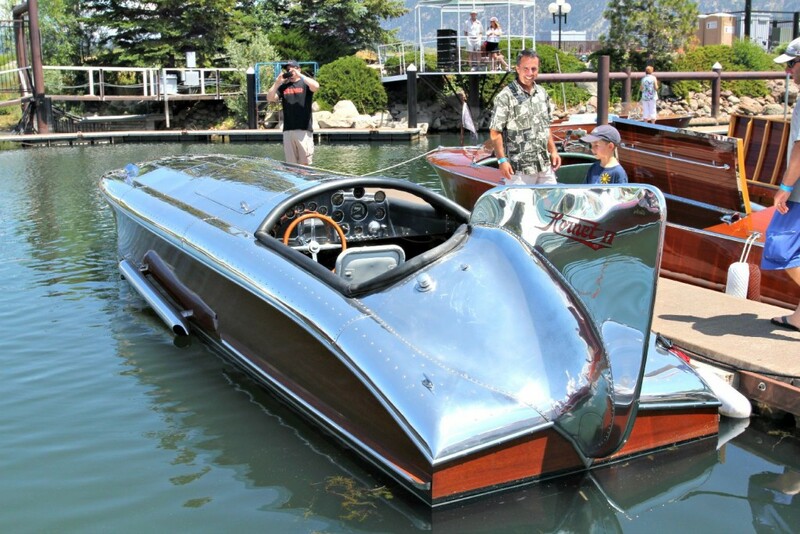 They also were the first to mass produce power boats, making owning a boat not just for the wealthy anymore. The middle class could actually afford to buy one too! 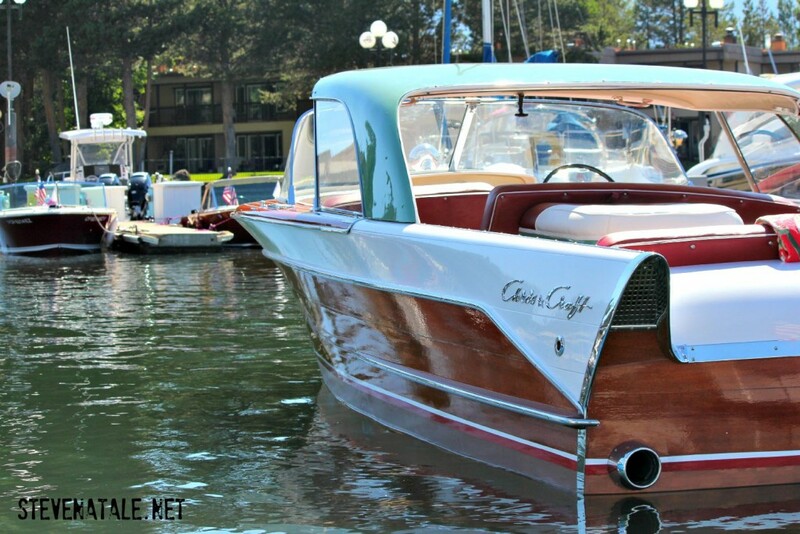 By the 1950’s Chris-Craft was still considered one of the finest boat manufacturers in the world and offered over 159 models covering the entire spectrum of people’s incomes. Started in 1926 in Milwaukee their company specialty was ability to make extremely fast wooden plank hulls. They were so fast that one of the hulls set the world record in 1930 with their boat called Century Hurricane, which recorded a speed of 50.93 mph. That’s fast in a wooden power boat! Garfield Wood the owner of Garwood Industries was what you could consider the classic 1920’s “showman.” He was always trying to drum up business with a new gimmick or a flashy way to do what he loved doing most… going fast. He personally broke the world speed record five times in a boat and won five straight Gold Cup races between 1917 and 1921. He continued to build wooden power boats until 1947. The oldest builder of wooden motorboats in the world was founded by a man named John Ludwig Hacker in Detroit. He was a naval architect and one of the most famous motorboat designers in the world. His out of the box thinking for engineering and motorboat design is still seen in all boats today. The most famous design is the “V”- hull. Before Hacker motorboats had round narrow hulls, which caused the boat to “squat” instead of “plane” through the water. People thought “planing” was dangerous and needed to be avoided at all costs. He proved everyone wrong by building the “Au Revoir” with his revolutionary V-hull design. In 1908 it was considered the fastest in the world. With this success, Hacker Boat Co. was born. …what? The literal translation is “Competition of Elegance.” To really understand what it is you need to go back in time, all the way back to France in the 17th Century. At that time the aristocracy would parade around in the parks of Paris in extravagant carriages on summer weekends and holidays. A friendly competition was born to see who had the most extravagant carriages and who maintained them the best. Over the centuries this then translated to the “horseless” carriages or cars, which would be judged on the appearance of their vehicles. 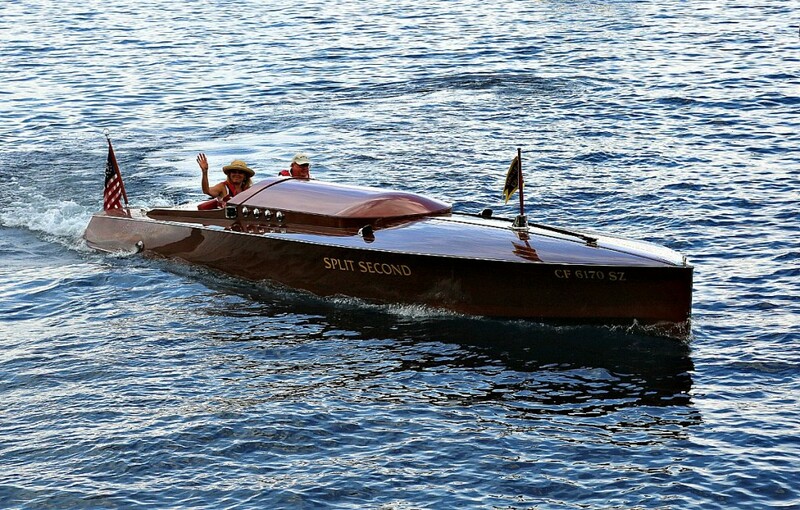 The Concours D’Elegance then migrated from land to sea and vintage wooden boats joined the tradition. These events really gained traction as competitors and fans alike were eager to see these fine vessels judged in such a strict fashion. First, the judges must be experts! It’s a must to know and understand each and every component on EVERY boat based upon year and model. Only those entries that are considered perfect in every way are even considered eligible for a trophy. Specifically, what do these judges look at? They often look at everything from upholstery, paint, plating, and mechanical restoration to see if they meet or exceed the standards of the boat when it was new. No after-market parts or even parts from a different year can be used to replace broken pieces on entries in this competition! This is truly the gold standard of boat competitions. 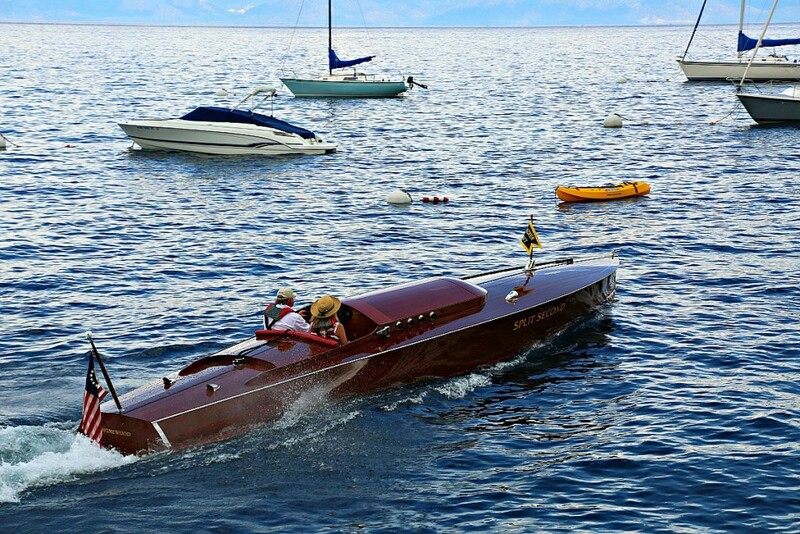 After 43+ years, the Lake Tahoe Concours D’ Elegance is the shining example of what this style show is about. This “Super Bowl,” of Wooden Boat week in Lake Tahoe comes with multiple social gatherings and judging events that determine which boat in its class fit these extremely tight standards. The boats that win are not just considered great, but actually world class. This amazing week of fun is also open to public and gives everyone the opportunity to judge for themselves. On the Monday of boat week, the famous Woody-over-the-Bottom-Race gives you an opportunity to see these cool boats in action not just up close and personal. This multi-step race consists of completing several tasks at predetermined speeds. For example, one year boats had to circle a buoy with Osama Bin Laden’s picture as many times as there are syllables in his name!